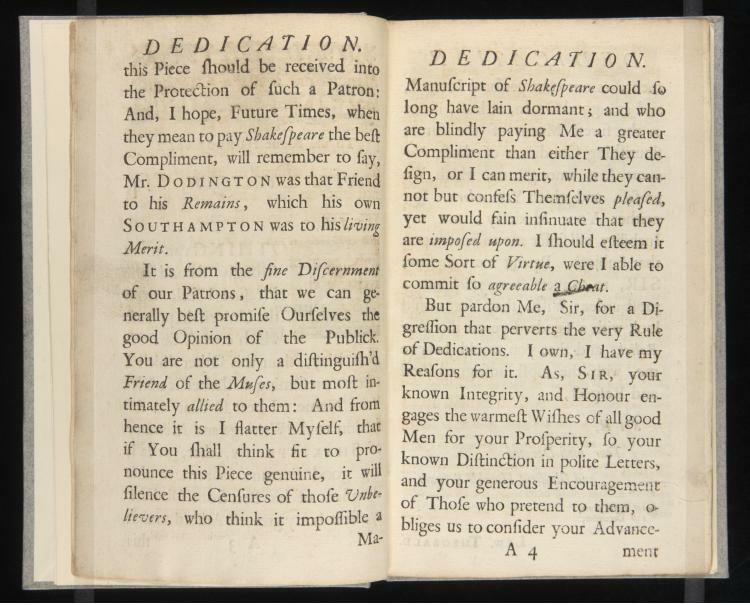 In 1727, Lewis Theobald, himself a Shakespearean editor, published The Double Falsehood, a play he claimed was “Written Originally by W. Shakespeare” and that he merely “Revised.” Scholars still debate whether this is a revision or a forgery. 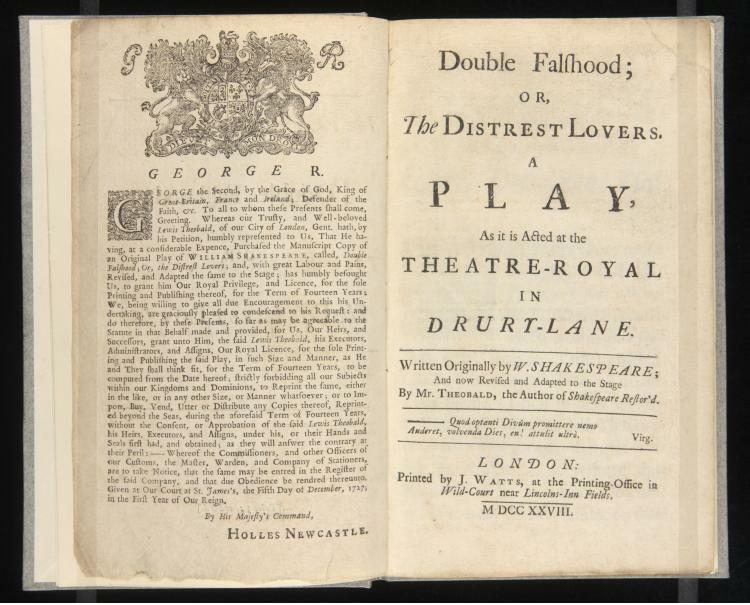 The play is based on the “Cardenio” episode in Cervantes’s Don Quixote; a lost play, Cardenio, was in fact performed by Shakespeare’s acting company in 1613, and attributed to Shakespeare and John Fletcher by a publisher in 1653, two factsTheobald seems unlikely to have known. 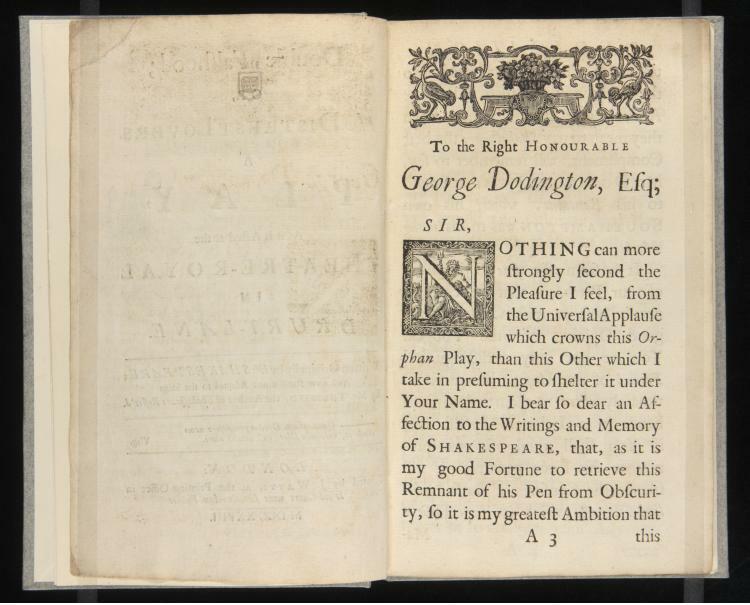 And modern playwrights and authors continue to wrestle in various ways with the specter of Shakespeare, often producing works original and consequential in their own right. In A Room of One’s Own (1929), Virginia Woolf imagines the fortunes of Shakespeare’s hypothetical sister, Judith, possessed of equal talent and imagination but encountering an entirely different set of social circumstances and expectations. For Woolf, as for many, Shakespeare could also and perhaps primarily be understood as the measure of what was not possible, what could not be had.